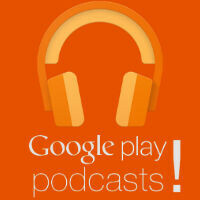 We've known for a while that Google is working on bringing podcasts to the Google Play Music service. The original announcement to get content creators on board came out back in October. Now, it looks like we may be very close to seeing the service rollout because The Sports Guy, Bill Simmons, accidentally leaked the news on Twitter. Simmons tweeted earlier today that his BS Podcast will be available on Google Play when Google "launches its podcast platform later this month." Obviously, he wasn't supposed to drop that information, so he has since deleted the tweet, but this is the Internet so while the tweet may be gone, the information can't be pulled back. Simmons' new employer, HBO, was one of the first companies listed as a podcast partner when Google announced it was opening up the platform for creators to add content, so it would seem reasonable that he knows what's going on. So, it looks like we're going to have to keep an eye out for a Google blog post about this. Given that Google apps tend to get released on Wednesdays and "later this month" probably doesn't mean tomorrow, there are only three more weeks left for Play Music to add podcast integration.